Endot ENDOPOLY, High Density Polyethylene Pipe and Tubing is made from PE4710 resin, providing the highest strength pipe at the lightest weight. ENDOPOLY PE4710, is the first polyethylene pipe to achieve pressure ratings of up to 333 PSI which allows pump settings of over 500 feet. 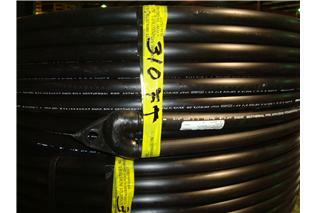 Pipe made with PE 4710 resin has a 25% higher pressure rating than PE 3408 pipe. ENDOPOLY is National sanitation Foundation (NSF) certified and is manufactured to meet ASTM Standard D2737 for Water Service Tubing and D2239 ID Controlled for Iron Pipe Sizes and D3035 for OD Controlled Iron Pipe Size. 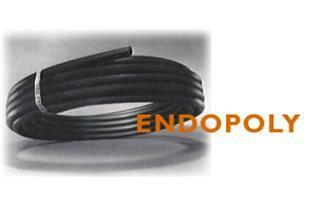 ENDOPOLY is available in sizes from 1/2" through 12 " and pressure ratings of 100 PSI to 333 PSI. ENDOPOLY Pipe and Tubing is ideal for Deep Well installations, Lawn Sprinkler Systems and Water Mains and Service Connections, Geothermal Applications and Sewage Forced Mains and Grinder Pump Connections. ENDOPOLY High Density Pipe and Tubing is exceptionally durable and resistant to most chemicals, soil and water conditions without risk of rot, rust or electrolysis. 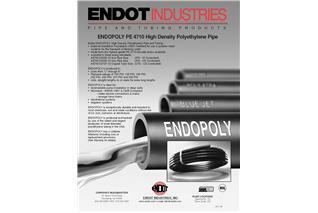 ENDOPOLY PE4710 Pipe and Tubing is so dependable and strong that Endot Industries backs it with a LIFETIME WARRANTY including cost of replacement provisions. Endot Industries stocks all sizes and pressure ratings at our three plants and four regional warehouses for immediate delivery.